The fact that writing of all kinds has been freed from the confines of the printed world isn’t really new. But while the Amazon (s amzn) Kindle has led to an explosion of e-book publishing, some people feel storytelling hasn’t really taken advantage of the social revolution that comes with going digital. Union Square Ventures partner Albert Wenger is one of those people, and in an interview with GigaOM, he talked about why USV is the lead fund in a $3.5-million Series A funding round for a Toronto-based startup called Wattpad, which has a created a simple service that allows writers of all kinds to share their stories and create a community of readers. Wattpad didn’t start with the existing industry structure, where there’s a printed book and all sorts of existing rightsholders. It simply lets anyone tell a story and lets anyone read a story — so it taps into this fundamental human need for storytelling in a way that’s unique to the Internet. Wenger said Wattpad’s net-native approach fit with the investment thesis that has seen Union Square Ventures invest in Twitter, Tumblr and other social-media success stories. “The fundamental promise of the internet is that anyone can publish, just like anyone can tweet,” he says. “That’s what the internet is good at.” Unlike some other writing-oriented services, Wattpad doesn’t have any “big, heavy-handed editing process up front,” says Wenger. 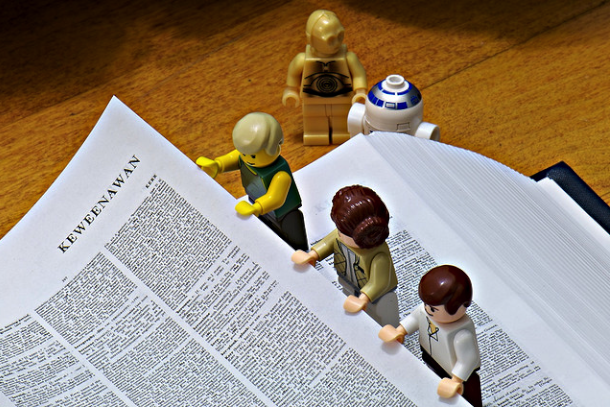 Writers simply upload their content and then tap into the community of readers. In some cases, users create cover art for other users’ books and stories. While the Kindle and the disruption of the traditional book-publishing industry have gotten a lot of attention over the past year or so — with e-book authors like Amanda Hocking and John Locke becoming celebrities through self-publishing — Wattpad has more or less flown under the radar. Although it has been around in its current form since 2007, the company doesn’t get a lot of press, perhaps in part because it is based in Toronto. But its reading community has been growing steadily: The iPhone (s aapl) app alone (there’s an Android (s goog) and a BlackBerry (s rimm) app as well) has been downloaded more than 5 million times, and Wattpad recently signed up its one-millionth user. In a nutshell, the service makes it easy for anyone to write a story and upload it, and the mobile app and website then allow the writer to connect with readers through the Wattpad service. The company likes to call itself “YouTube for e-books,” because the focus is on self-publishing — not just by people who are professional authors, but by anyone who wants to write. 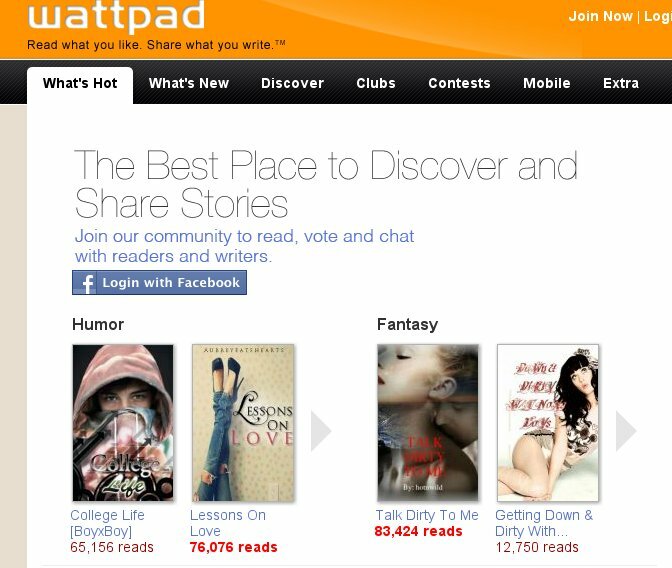 The service sees more than 250,000 new stories uploaded every month, and Wattpad has more than 3 million already on file. But doesn’t the Kindle Singles program allow writers to do the same thing with Amazon’s platform, as authors like Hocking and Locke have shown? Yes, says Wenger — but Amazon doesn’t make it easy for writers to connect with their audience through its platform (although it seems to be trying to move in that direction with the launch of features such as its @author program). In any case, the USV partner says there is room for both to co-exist as the market for writing of all kinds continues to expand. What we’ve found is that platforms without that legacy structure [like the Kindle] tend to be more powerful in the long run. The Kindle leverages a large body of already published works, but it has to make tradeoffs in order to do that. Other services that take a similar approach include Scribd, which began as a simple web-hosting service for documents but has expanded to try to appeal to writers and publishers. And much like other web services that rely on “user-generated content” — including YouTube — both Scribd and Wattpad have been criticized in the past for hosting copyrighted content that has been uploaded by users who don’t own the rights (Wattpad now has a system in place that allows authors and rightsholders to have content removed from the service). Co-founder Allan Lau says Wattpad’s main goal is simply to make it as easy as possible for writers of all kinds to find and connect with readers. In addition to Union Square, the Series A funding round for Wattpad includes W Media Ventures — a Vancouver, British Columbia fund founded by Boris Wertz, who helped sell online book retailer AbeBooks to Amazon in 2008 — as well as a new Toronto fund called Golden Venture Partners and a number of Wattpad’s initial angel investors. I think that’s called a blog.